If you really want to give your biceps a run for their money, look no further than the preacher curl. In fact, few exercises target the biceps as directly and effectively. Unlike other biceps curl variations, preacher curls force you to rely solely on the strength of your biceps to curl the weight. This is because the preacher curl bench prevents you from using any momentum to complete the rep. “This move allows you to take the stability factor out of the exercise, which concentrates almost all of the force on the biceps,” says Cody Braun, Openfit fitness specialist. Since the preacher curl limits your ability to use momentum to help you curl the weight, you may find you can’t lift as much as you can with other biceps curl variations, like the classic standing dumbbell curl. And this is okay! What matters is that you’re able to engage your biceps with each and every rep — ultimately making them bigger and stronger. Here’s how to do a preacher curl properly, and some other helpful tips about this move and the muscles it works. Position yourself on a preacher curl bench with your elbows bent and an EZ bar held in both hands with an underhand grip. Lower the bar, stopping just before your elbows lock out. Curl the bar back up to the starting position, and repeat. One of the most common preacher curl variations is the EZ bar preacher curl. 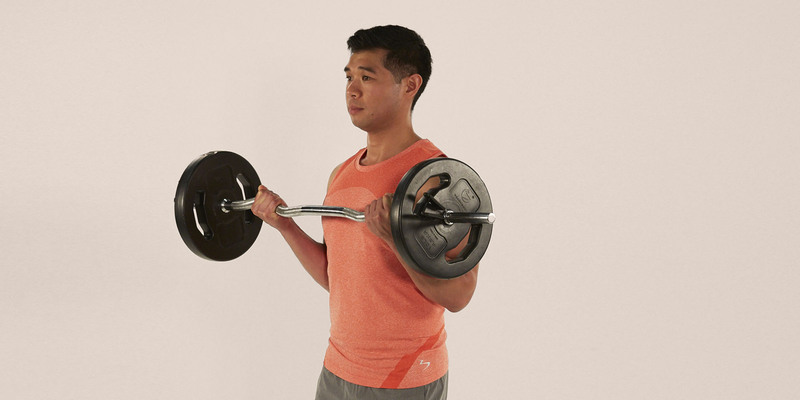 The EZ curl bar is a W-shaped barbell that allows for a more natural movement pattern without putting added stress on the elbow joint, Braun says. 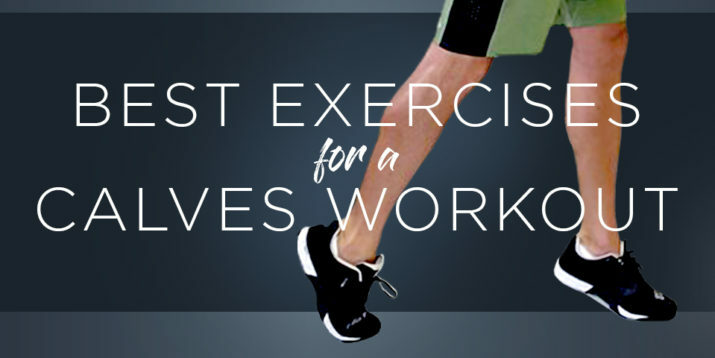 If you don’t have an EZ curl bar on hand, you can also use dumbbells to complete this move. Or, if you have access to a gym, you’ll often find preacher curl machines that combine the bench, bar, and weights all into one. Always work your muscles through the full range of motion, Braun says. Do this by making sure to fully lower the weights, but stopping just before elbow lock-out. Keep in mind that the preacher curl can place a lot of stress on the elbow joints, so go lighter on the weights in the beginning to avoid injury. Since the preacher curl really hones in on the biceps muscle, it’s excellent for increasing strength and size. And since the move concentrates on one motion, you can really focus on doing it with correct form. Why should you bother with building stronger biceps? Only because you use them every single day! Anytime you pick something up — like grocery bags, moving boxes, or babies — you’re engaging your biceps. And if you work to make them stronger, then it will make these daily tasks much easier and more efficient. What Muscles Do Preacher Curls Work? The preacher curl is classified as an isolation exercise, meaning it only involves one joint and one muscle: the biceps. 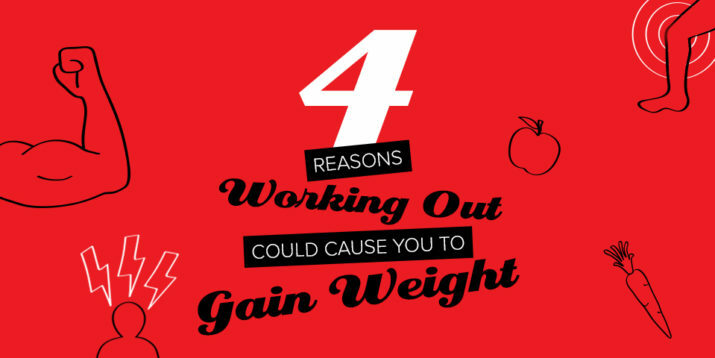 But that doesn’t mean it’s the only muscle worked. The brachialis and brachioradialis (two other elbow flexors) also assist with the movement of the preacher curl exercise. Your biceps muscles (biceps brachii to be specific) have two heads (short and long), both of which attach separately to the scapula, then fuse together to form the “belly” of the muscle. Then they attach via a tendon to the upper forearm. The biceps help you flex your elbow (bring your arm in, like for a biceps curl) and supinate your hand (turning it from a palm-down to a palm-up position). The brachialis runs beneath your biceps brachii, and the brachioradialis runs from the bottom of your upper arm to the bottom of your forearm. The brachialis is located underneath the biceps brachii toward the outside of the upper arm, is actually the stronger flexor, due to its proximity to the elbow.